This month in the Brit Bee, the beautiful LJ has us churning! These 8 mini churn dash blocks make up 2 x 12.5″ blocks, clever eh? Lauli’s perfectly chosen rainbow fabrics really make the churns stand out. 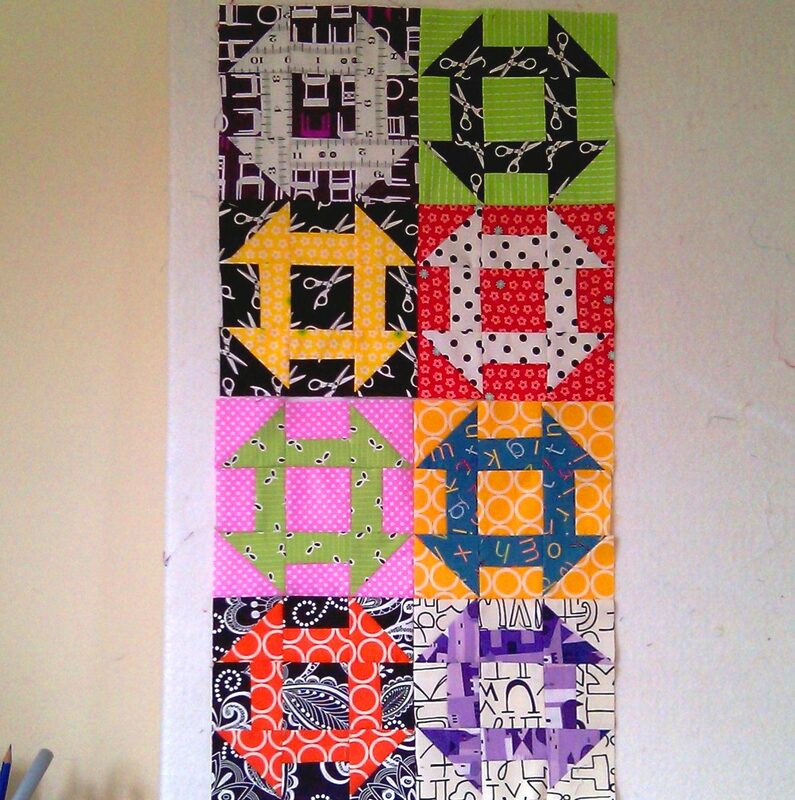 This quilt is going to be one bright and colourful take on an age-old block! 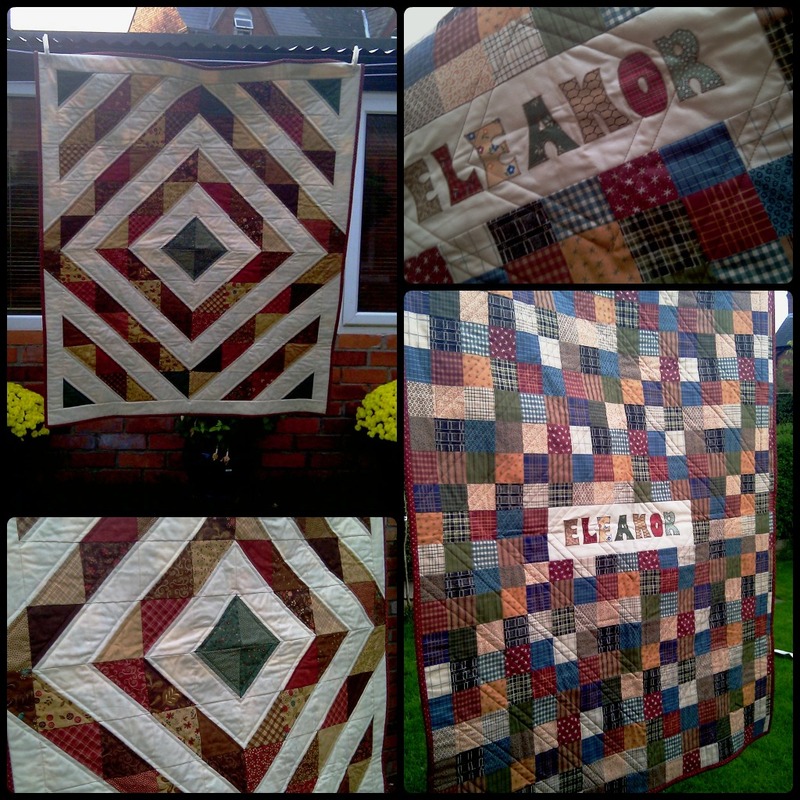 Keeping with the more traditional theme, I got my commission quilt finished today. The lady who commissioned this is wanting to gift it to her SIL and specifically asked for her name to be included on the back. These fabrics were lovely to work with (Late Bloomers by Sandy Gervais and Kona Cream). The quilt will be delivered on Thursday. Fingers crossed it meets with approval! I also got another quilt finished today, but more on that tomorrow! Previous Previous post: Pockets of Fun! Next Next post: A Vintage Year!